Separate biscuit dough into 8 biscuits. Cut each in half; press biscuit halves into rounds about 3 inches in diameter. 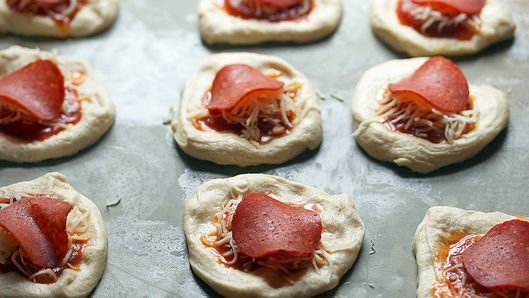 In center of each biscuit round, spoon 1 teaspoon pizza sauce, 1 teaspoon mozzarella cheese and 1 slice of pepperoni. 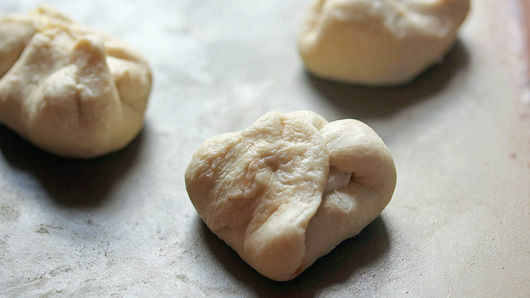 Wrap biscuit dough around filling; pinch edges to seal. In deep fryer or 3-quart heavy saucepan, heat oil to 350°F. 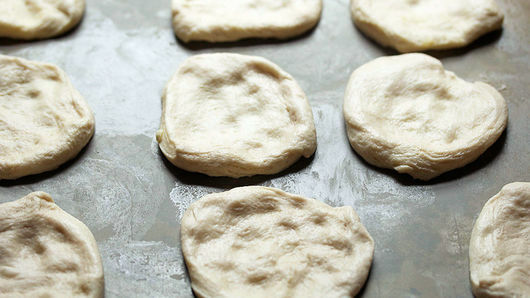 Fry each stuffed biscuit 3 to 5 minutes or until golden brown on all sides. Remove from oil to paper towels to drain. Heat remaining pizza sauce; serve with pizza bombs. 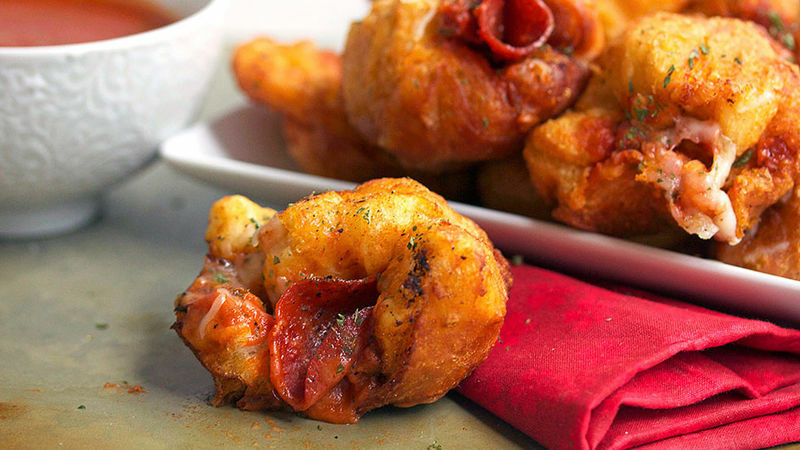 To bake these pizza bombs, heat your oven to 400°F. Place the stuffed biscuits, seam side down and 2 inches apart, on a cooking parchment paper-lined cookie sheet. Bake 13 to 15 minutes or until golden brown.